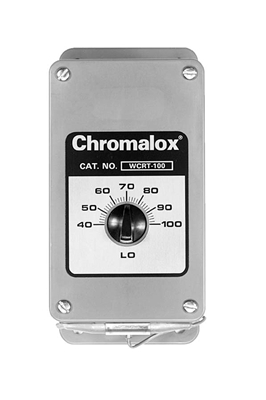 The WCRT Room Thermostat is designed to directly control an individual heater. Using an external contactor, it can control several heaters. The WCRT provides high level accuracy and sensitivity with 2.5deg. F differential. The control has a SPDT output and can be used for heating or cooling.